A media studies scholar offers an exploration—and celebration—of waiting throughout history, considering its importance for connection, understanding, and intimacy. Jason Farman’s Delayed Response: The Art of Waiting from the Ancient to the Instant World is a timely and insightful reminder that waiting is a natural, integral part of how communication unfolds and has been unfolding for millennia ... The strength of Delayed Response is in the curious, quirky, and unexpected stories of waiting—it’s also in Farman’s own stories of how he discovered the stories he’s telling. The weakness, such that it is, lies in Farman’s zealous use of quotes and citations from media theorists, philosophers, and cultural critics to legitimize points he has made himself through his stories. 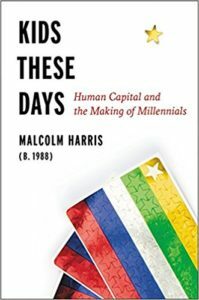 In the grand scheme of Delayed Response, however, the reader is really only left wanting more examples of how the act of waiting enters the historical record ... For those who want to understand the rich history and material culture of pauses and less-than-prompt rejoinders, Delayed Response is the book we’ve been waiting for. In most cases, Mr. Farman’s travels and tales do little more than allow him to reiterate his same basic point: Time is meaningful, and how we feel about waiting is often cultural and circumstantial. He also raises questions he never quite answers about what our mounting impatience is doing to everything from our relationships to our reading habits ... perhaps it will persuade a few readers to turn off their phones, at least temporarily. At first, the book’s theme feels forced, a way to connect the author’s unconnected findings and visits ... insights come along slowly, with their own kind of delay, in a book that often seems to take its time, but those who are patient with the author’s meanderings will be rewarded with paradoxical and thought-provoking ideas. What did you think of Delayed Response: The Art of Waiting from the Ancient to the Instant World?